tomato shorba recipe | tamatar shorba | tamatar dhania ka shorba with detailed photo and video recipe. 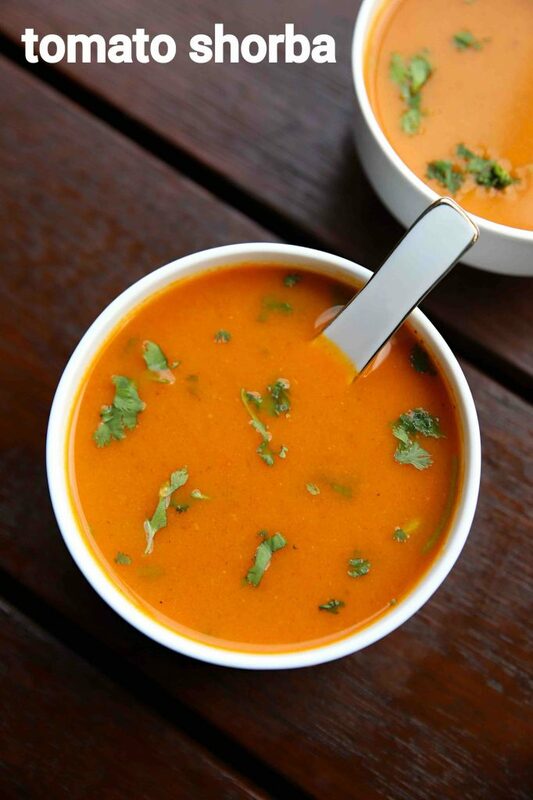 a spicy and flavoured thick vegetable and tomato based soup recipe. it has a strong and flavoured taste with a combination of spicy, sour and sweet taste in every serve. it is an ideal appetiser or starter recipe for a cold winter day, which can be served just before the full meal. 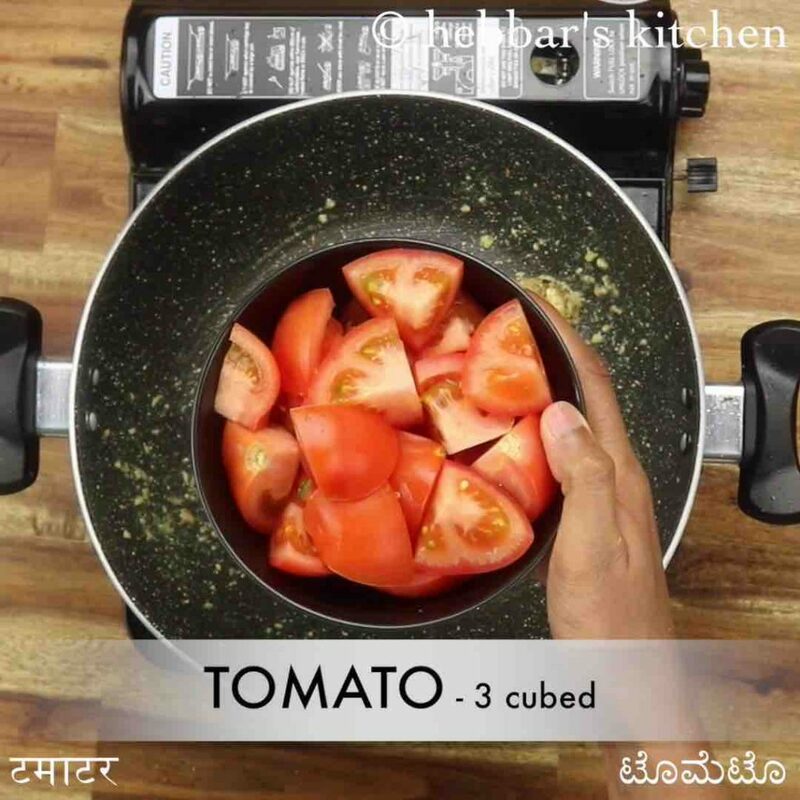 tomato shorba recipe | tamatar shorba | tamatar dhania ka shorba with detailed photo and video recipe. soup recipes are generally the most underrated recipes in indian cuisine. there are many traditional and modern unique recipes but does not get the attention and visibility like other recipes. one such traditional and ancient soup recipes are tomato shorba recipe inherited from the persian cuisine. the word shorba is loaned word from persian language which literally means as thick spicy soup. 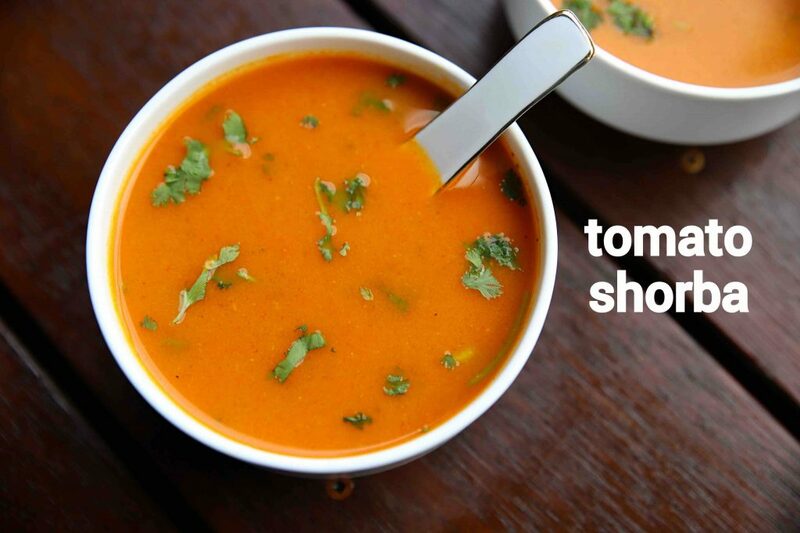 i suspect, by now you may have this confusion why it is referred to as tomato shorba and not a tomato soup. or perhaps what is the difference between these 2 recipes? well to answer this question i would directly refer to the texture of this soup, which is slightly thinner and less creamy as in normal tomato soup. moreover, the shorba recipes are spicier and are generally made with minced meat or choice of veggies. in this case, ripe tomatoes are used with garlic and coriander leaves. it is an ideal medicine for common cold and indigestion problems and recommended to be served just before the meal. 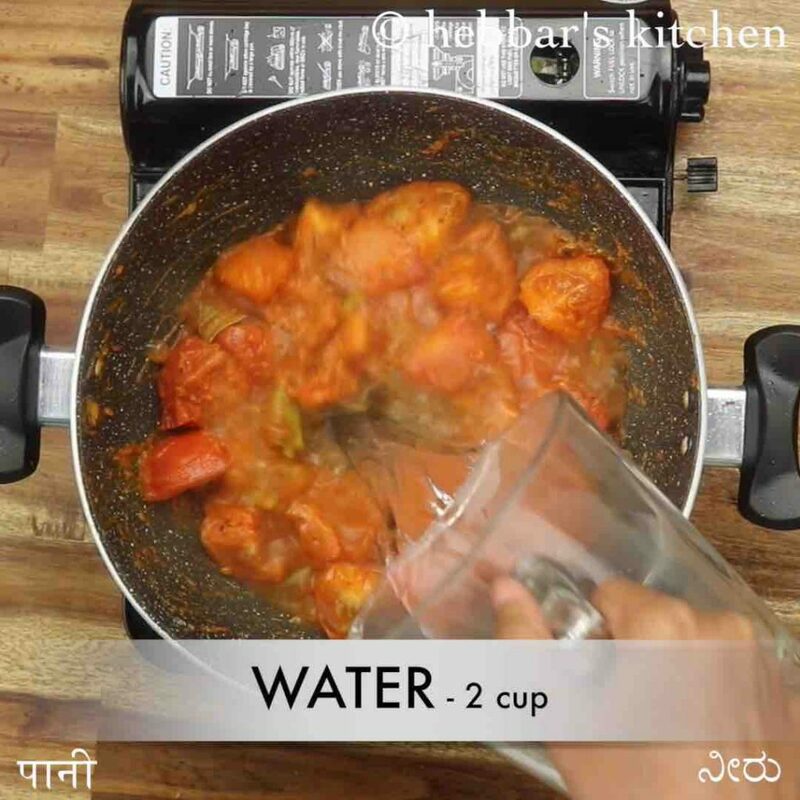 some tips, suggestions and variations to this flavoured tomato shorba recipe. firstly, the tomatoes have to be ripe and i do not recommend to use the green coloured tomatoes. ripe tomatoes add the sour and sweet taste to the soup. 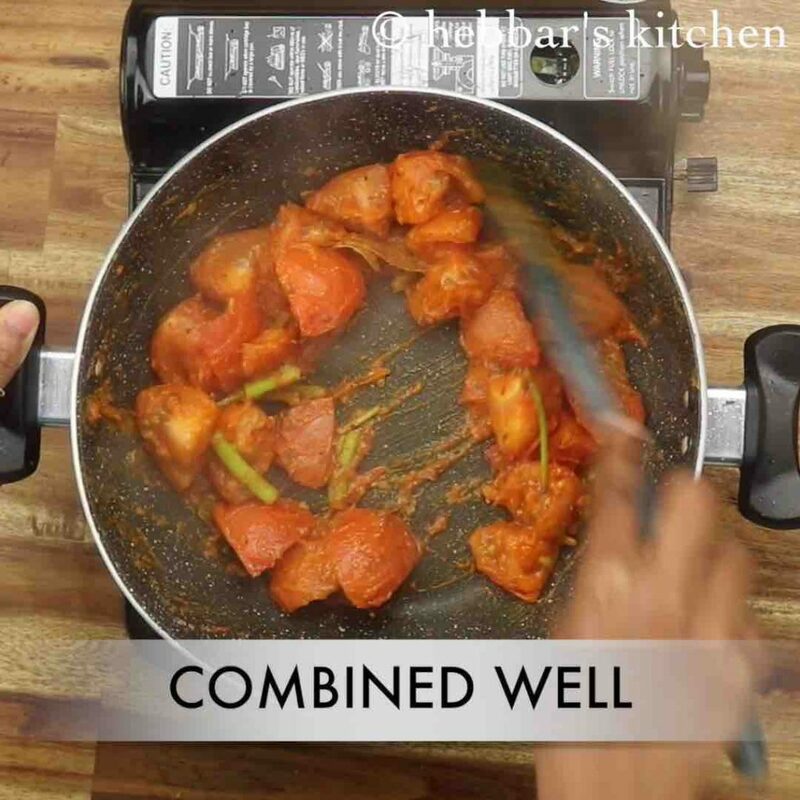 secondly, you can add finely chopped carrot while cooking the tomatoes. adding carrots would increase the thickness and texture of this soup. at the same time, it may also increase the sweetness of this soup. lastly, the shorba soup is generally served before the meal as a starter or appetizer. but it can also be served as condiment or side dish to rice recipes like pulao and biryani. 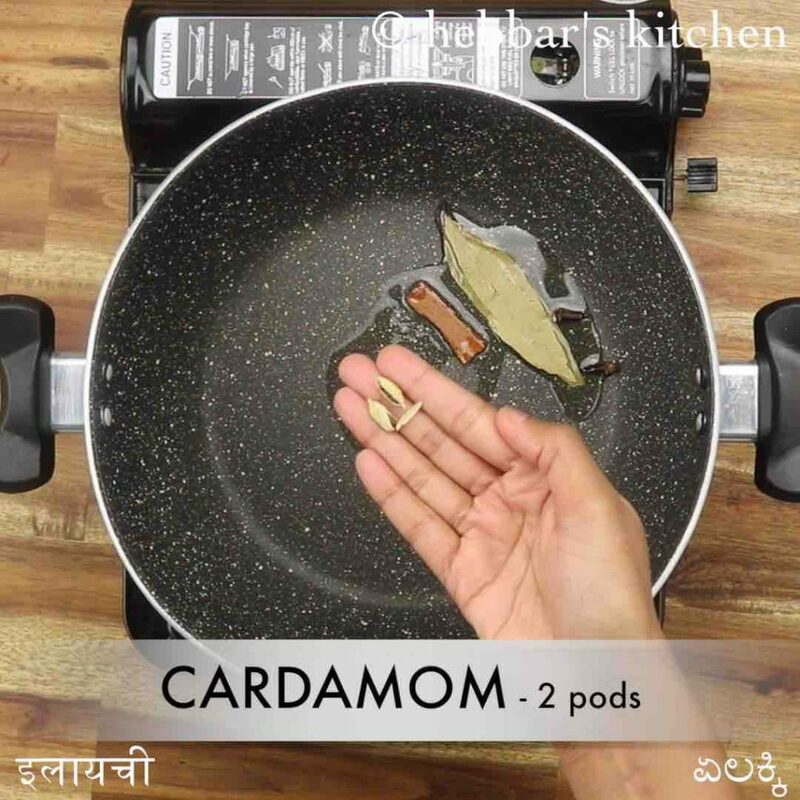 firstly, in a large kadai heat 3 tsp oil and saute 2 bay leaf, 1 inch cinnamon, 2 cloves, 2 pods cardamom and 1 tsp cumin. 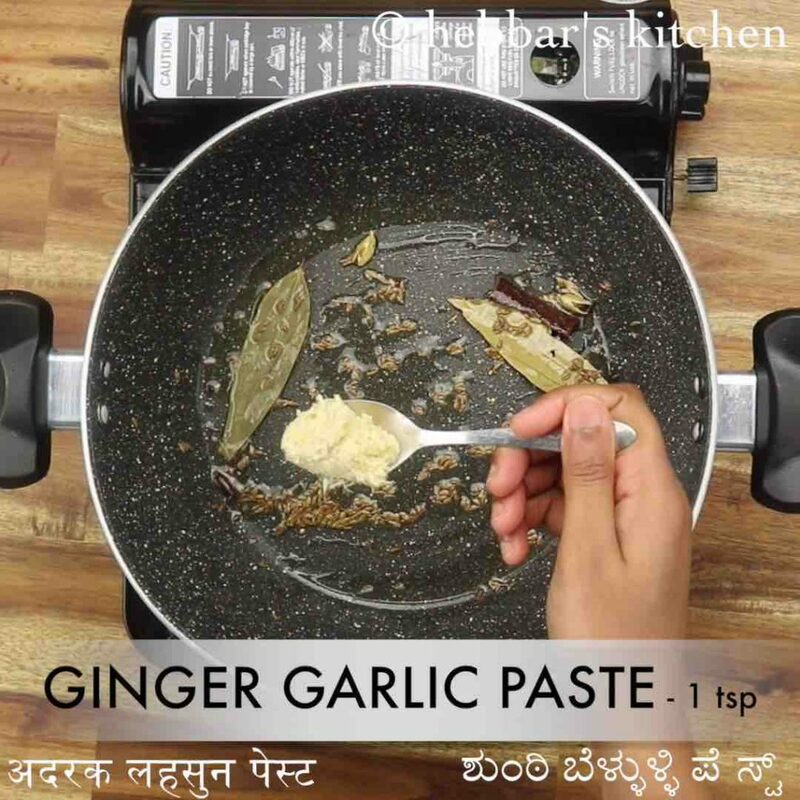 add 1 tsp ginger garlic paste and saute until the raw aroma disappears. now add 1 tsp besan and roast until the besan turns golden brown. further, add 2 tbsp coriander stem and 3 tomato. 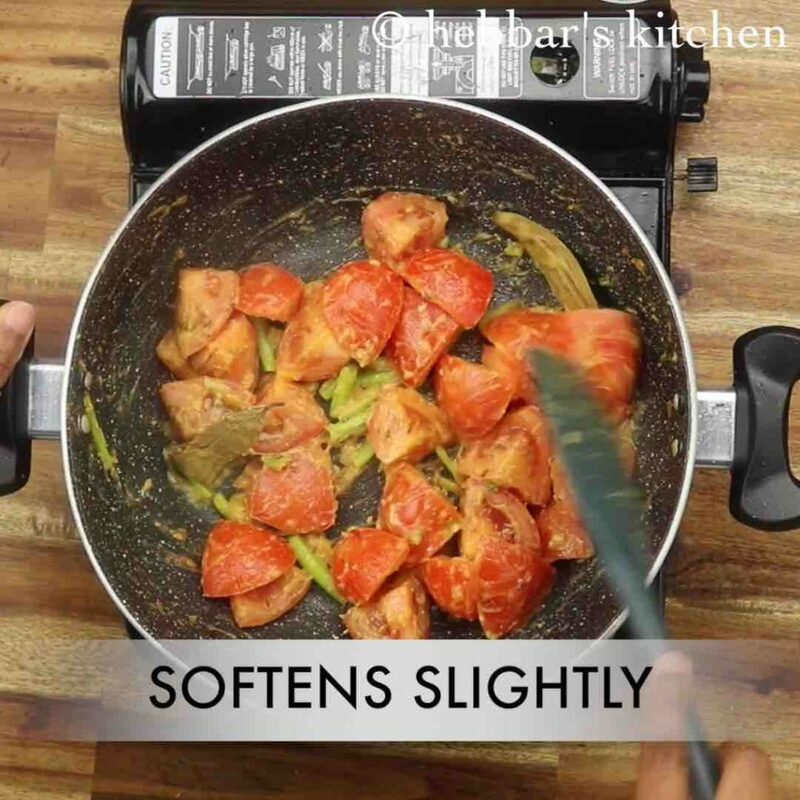 saute for 3 minutes or until the tomato softens. 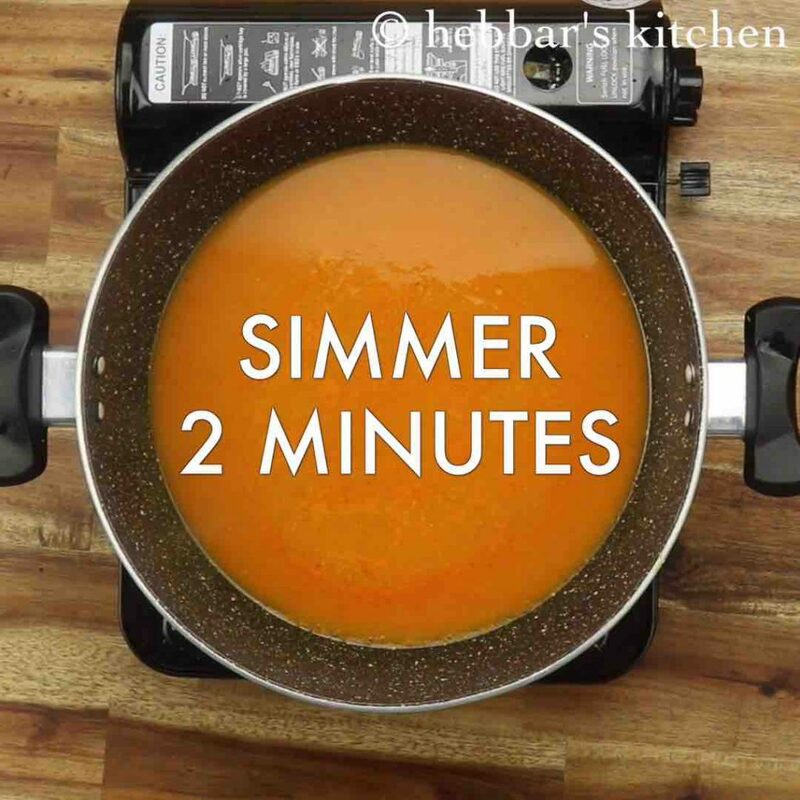 additionally, add ¼ tsp turmeric, ½ tsp chilli powder, ½ tsp coriander powder, ¼ tsp pepper and ¾ tsp salt. saute for 1 minute until the spices turn aromatic. 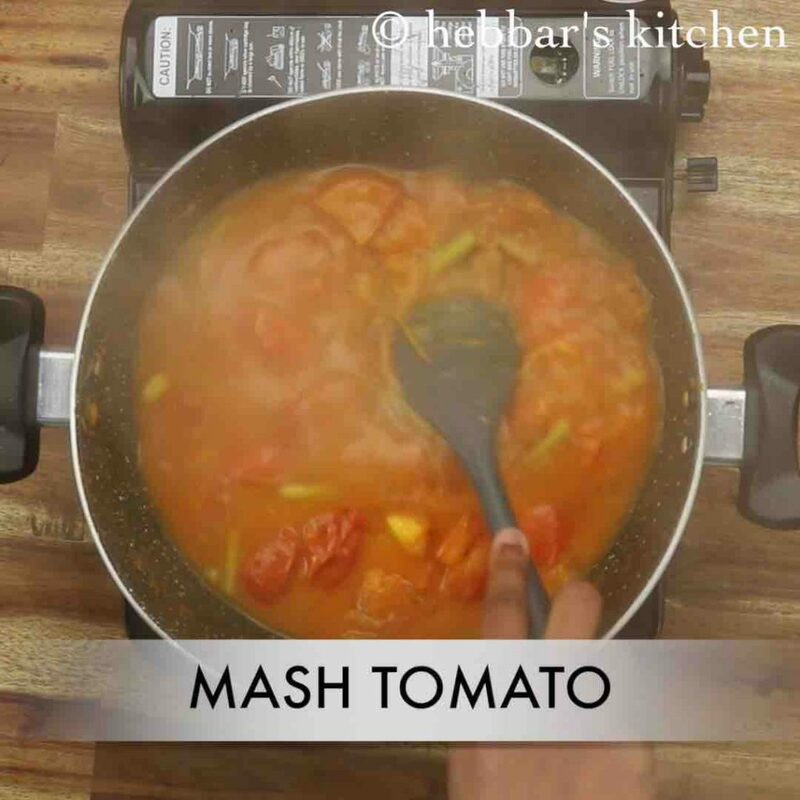 now mash the tomatoes well to extract the juice from it. 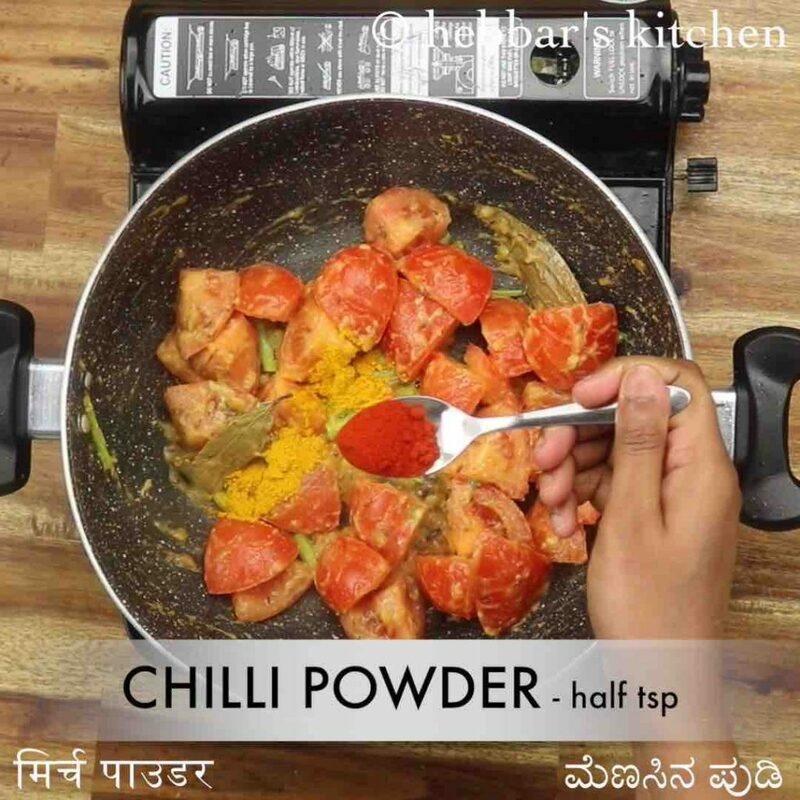 finally, add 2 tbsp coriander enjoy tomato shorba recipe. now add 2 cup water. 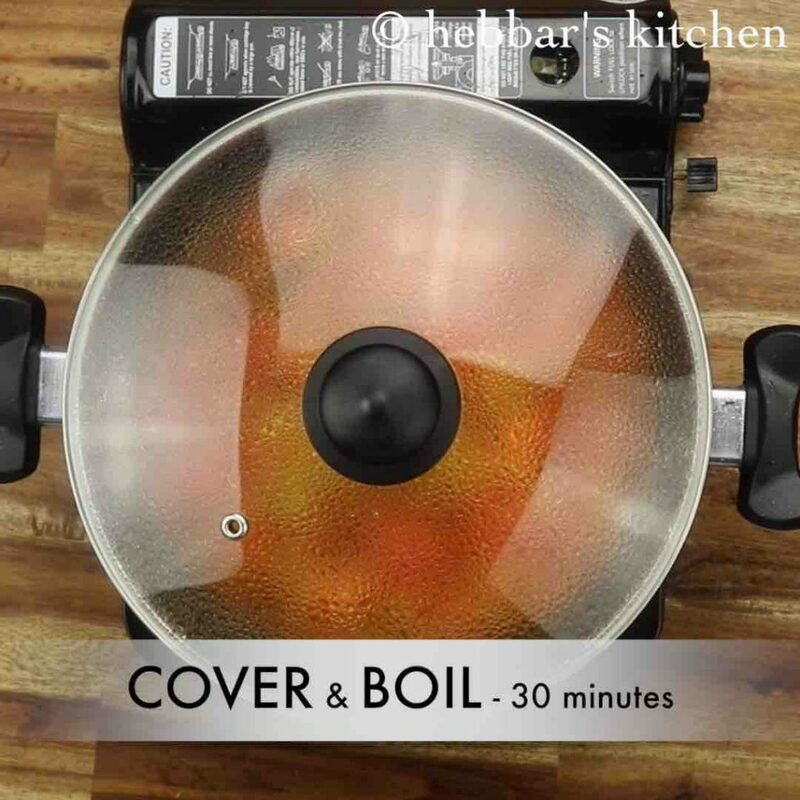 cover and boil for 30 minutes or until the tomatoes are cooked completely. 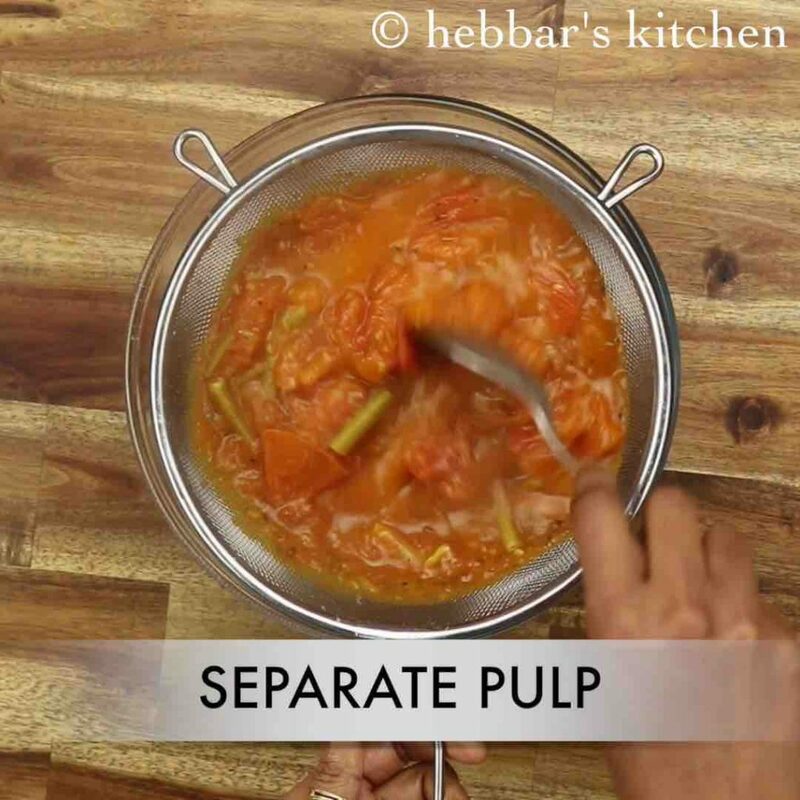 sieve the mixture to separate pulp and juice. 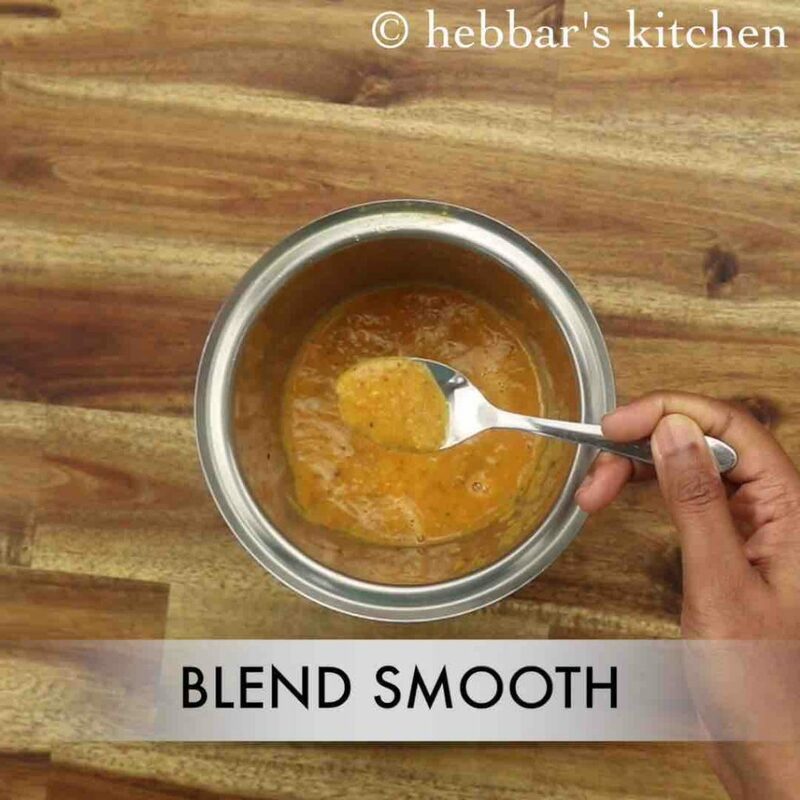 transfer the pulp into the blender and blend to smooth paste. 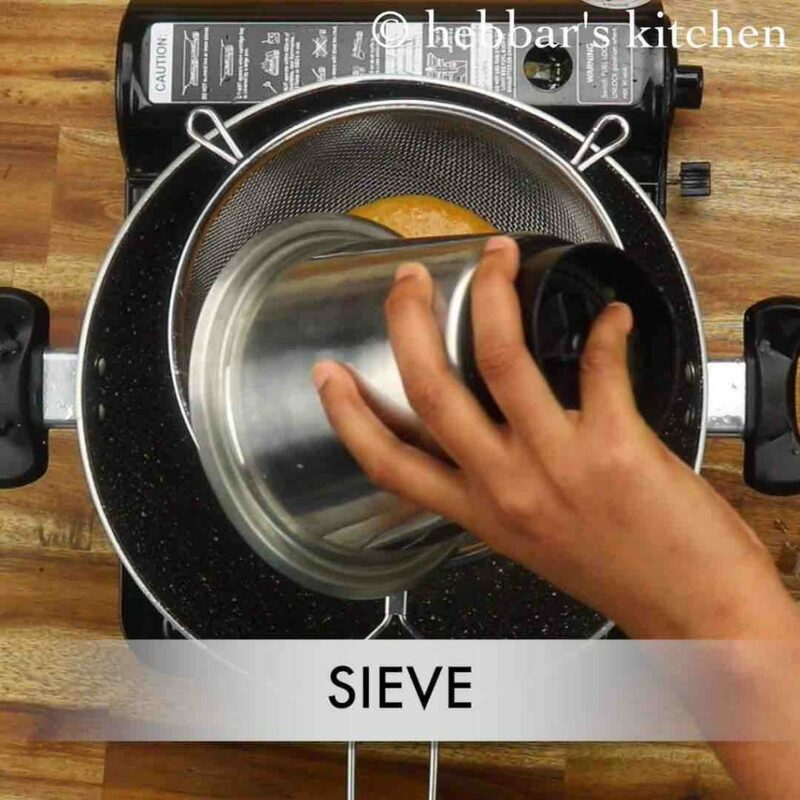 sieve the blended puree and discard the seeds and skin. 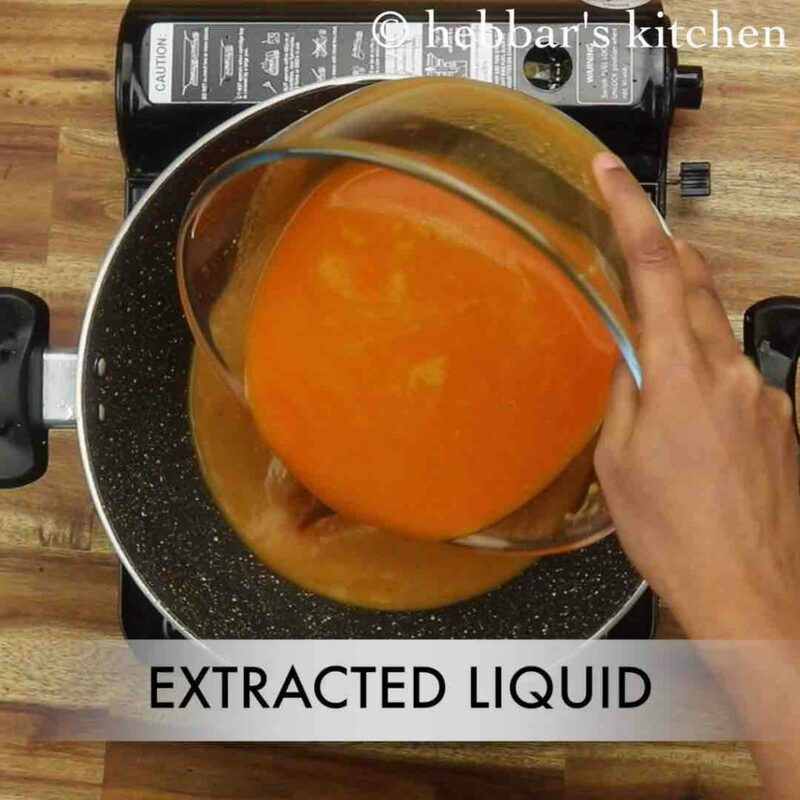 also, pour the extracted tomato juice and mix well. add a tsp of sugar if tomatoes are sour. simmer and boil for 2 minutes or until the spices are absorbed well. 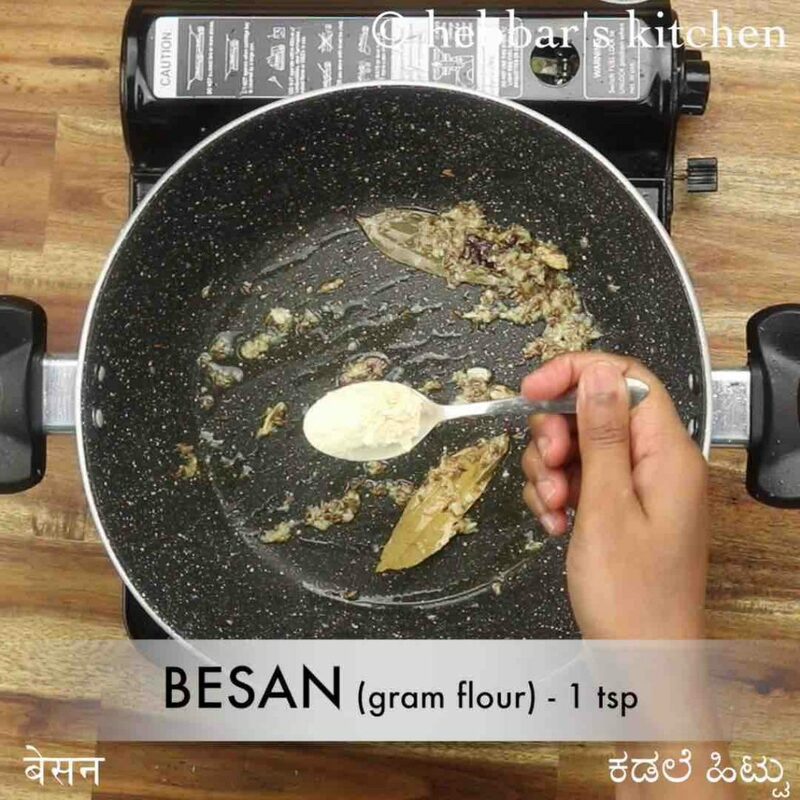 firstly, adding besan is completely optional. however, it helps shorba to give nice creamy texture. also, the shorba can be pressure cooked for 5 whistles and then extract the juice. additionally, add a small piece of carrot for a creamier texture. 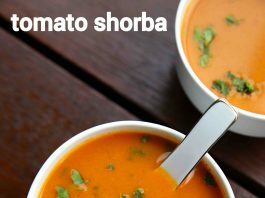 finally, tomato shorba recipe tastes great when prepared slightly watery consistency.